Hatyai Tour Package-Halal Food-Thailand Travel Agency-Full Board Tour-Package 3 Days 2 Nights-Hatyai City Tour-Airport Transfer Service. Hat Yai (หาดใหญ่ sometime we call Haad Yai or Had Yai ) is a city located on southern of Thailand near Malaysia the border. Hatyai is the largest city of Songkla province,the largest metropolitan area in Southern, and third largest metropolitan area of the country. Hat Yai is well known as a shopping destination for both Thais and foreigners. There are numbers of department stores and markets around the city. Kim Yong market on Supasarn Rungsan road and Suntisook Market on Nipat U-tid 1, 2 & 3 roads are among the best-known. Their main products are imported process food, cosmetics, fabrics and electric appliances. Day 1 Meet and Greet at Hatyai International Airport or Padang besar/Bukit kayu hitam. Arrive at Samila Beach where is famous of the Golden Mermaid Statue located, which has been the symbol of Songkhla. It’s believed (Buddhist) that touching the status will bring good fortune for relationship. Visit the Khao Tang Kuan Hill. It is an ancient temple. Erected during the Nakhon Si Thammarat era, On the top of a hill gives sweeping views of Songkhla landscape. It’s located 2,000 feet above the sea level. You need to take the funicular train (own) ride up to the hill, which 170m high and take less than 3 minutes ride to arrive at the top of the hill. Continue journey to Tenaga Square. Here you may found a port where the dragon head could be found here. Most of the Thais believed that the dragon can protect those fishermen back to their home safely after a whole day catch. Visit the Wat Klang Hae for the Floating market. Variety of local food, fresh fruits and handicraft could be found over there. Pick-up for Dinner then transfers back to your hotel and relax on your own leisure. 09.00 am. Pick up at Hotel to half day Hatyai city tour. Transfer to the border/Hatyai Airport International for flying back to your country with a pleasant trip. 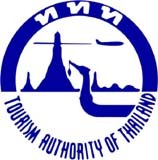 Hatyai city tour can be moved either on your first or last day depends on your flight schedule. All Halal meal for Muslim. Hatyai Floating maket open only Friday, Saturday, and Sunday evenings. 3D2N Accommodation + Hatyai/Songkla+ Hatyai City Tour + Airport Transfer Service.